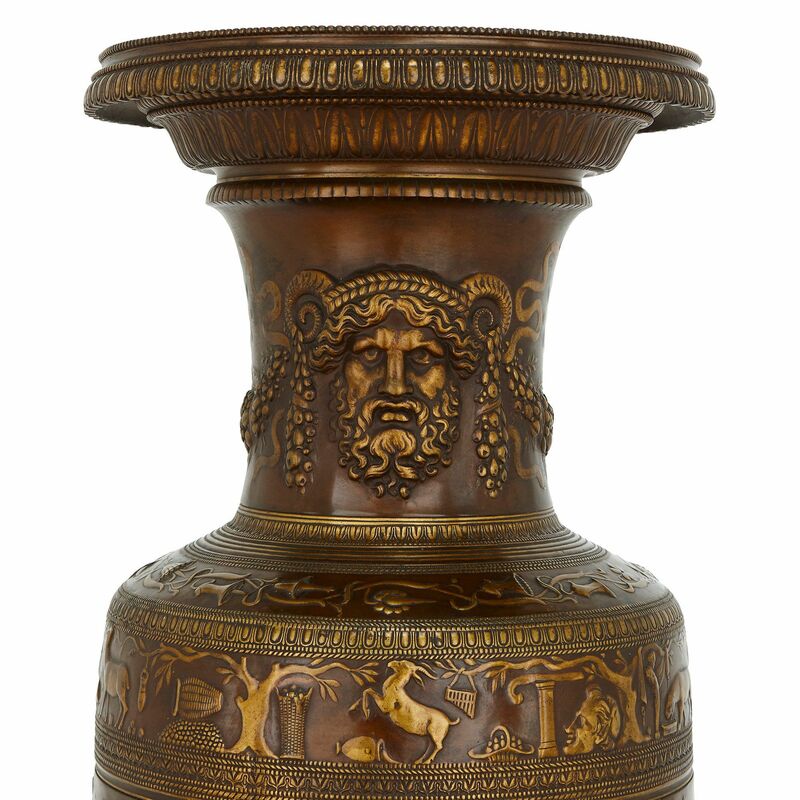 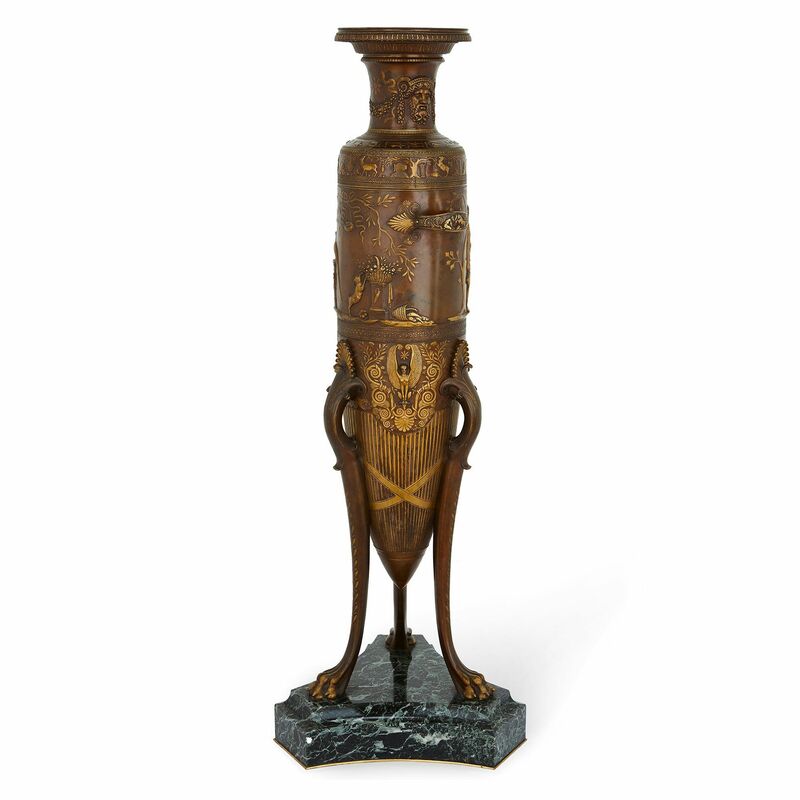 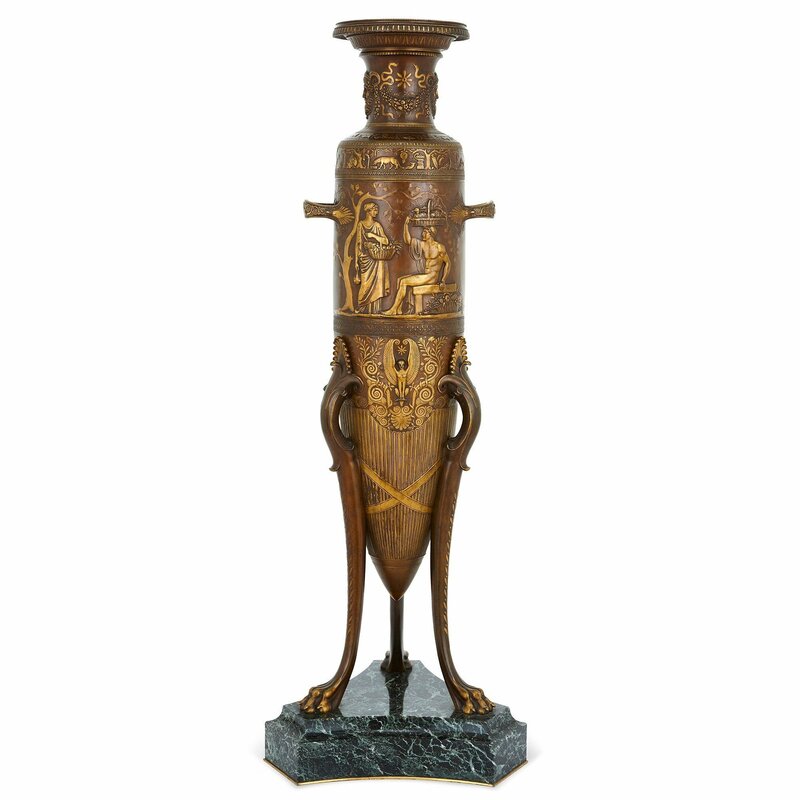 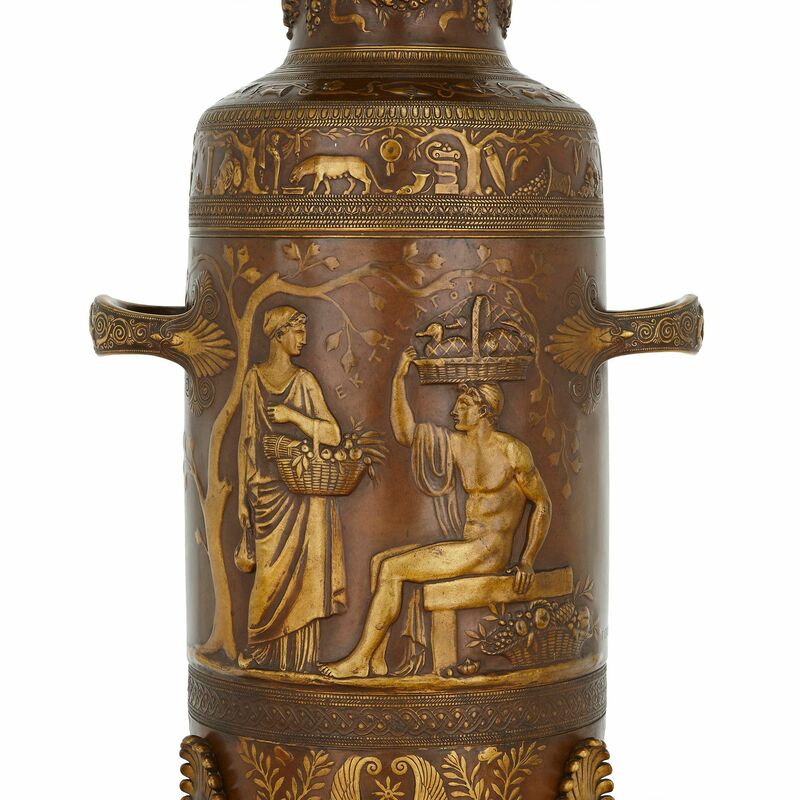 The exquisitely-cast Neo-Grec style decorations on this wonderful bronze vase are typical of the famed partnership between Levillain and Barbedienne. 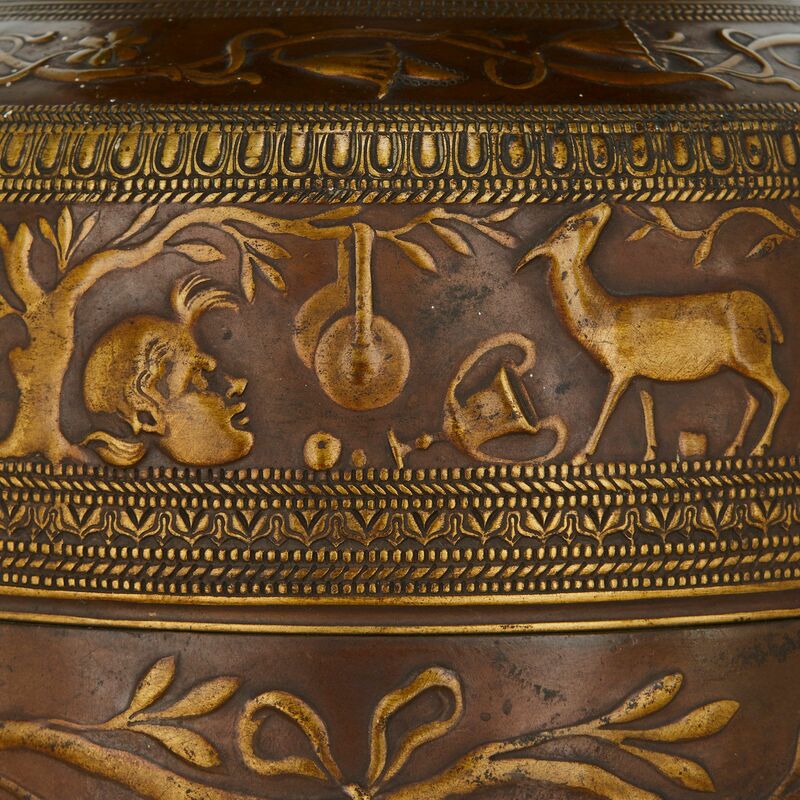 The slender, ovoid body of the vase is decorated with ormolu Classical-style decorations in relief, showing figures, fruit and animals as well as bands of egg and dart, arabesques and beads. 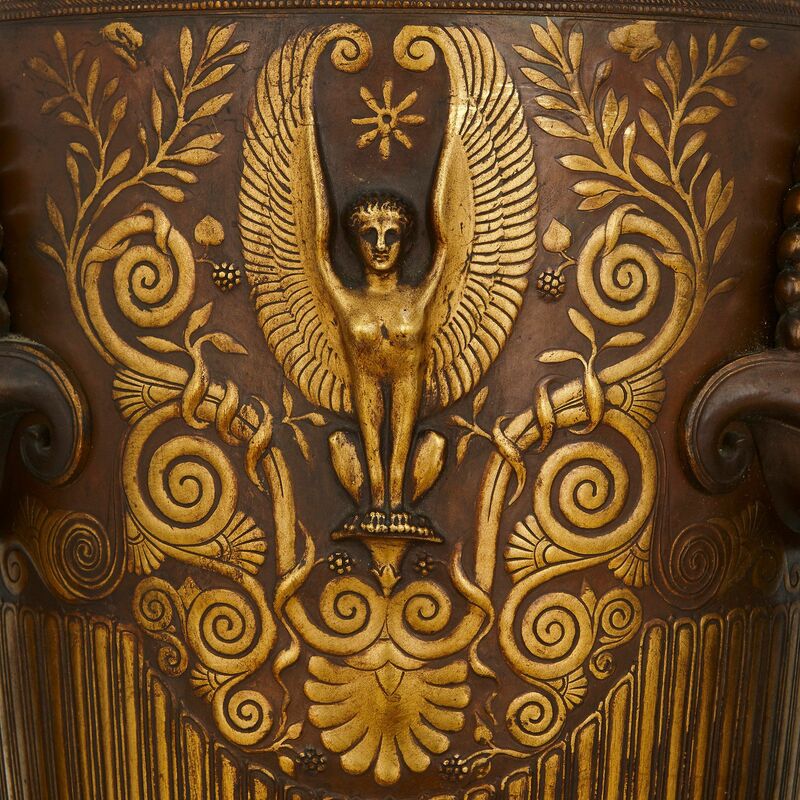 The neck of the vase features Classical style masks joined by garlands of bunches of grapes, while the lower part of the vase's body features a winged sphinx surrounded by scrolling foliage. The vase is mounted with twin handles and is supported by three legs which terminate in paw feet, all on a veined green marble base. 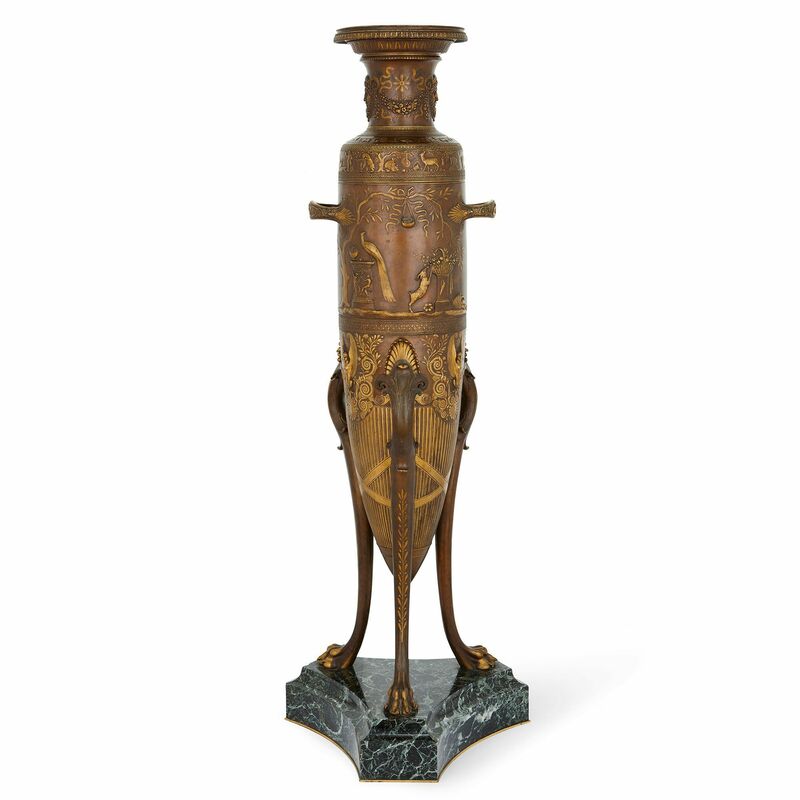 The metal is signed 'F. 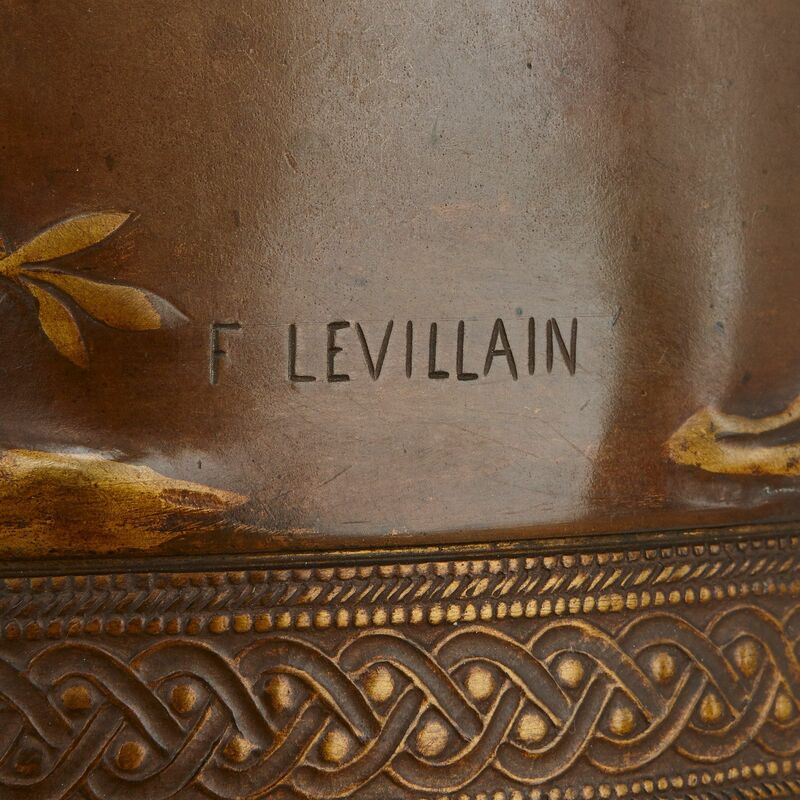 Levillain' and 'F. 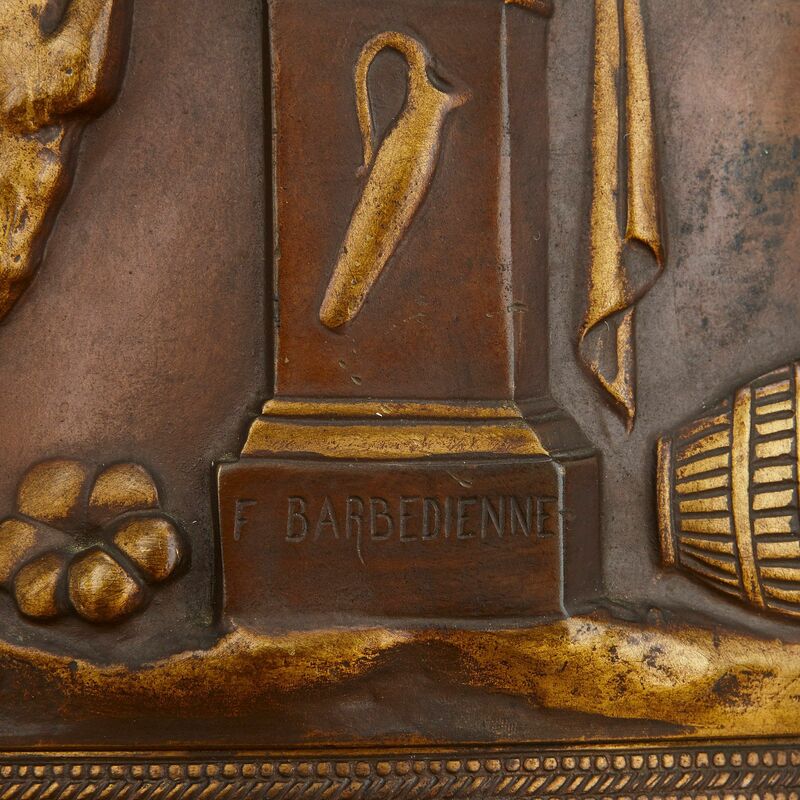 Barbedienne', the signatures for the sculptor Ferdinand Levillain and the metalworker Ferdinand Barbedienne respectively. 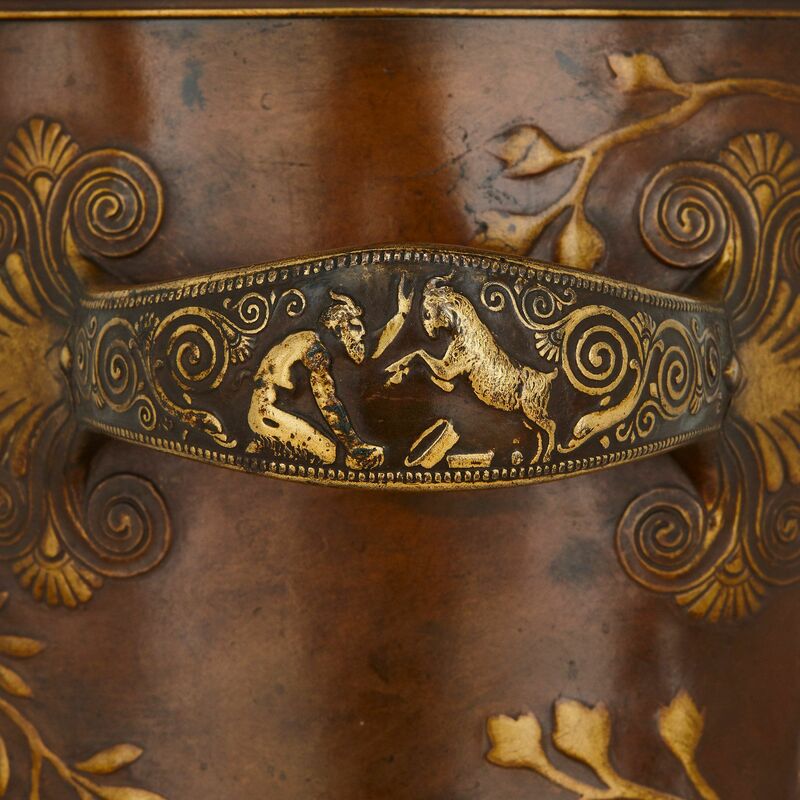 The two men worked in partnership from around 1871.